The earnest money deposit (EMD) is a significant part of the home buying process. The EMD demonstrates to the seller the buyer’s commitment. There are biding strategies that use the earnest money deposit to enhance the offer. The same price offer could be given with a dramatic EMD giving the decisive edge to one offer over another. The amount of the earnest money deposit will depend on a few factors like the current real estate market, what the seller requires, if it is an all cash offer and how committed the buyer is to winning the bid on the specific property. Generally the EMD is 1 to 2 percent of the total purchase price. Assuming that all goes well and the offer is accepted by the seller, the earnest money will go toward the down payment and closing costs. In most cases, after your offer is accepted and you sign the purchase agreement, you give your earnest money deposit to the Title company or escrow company. If the deal falls through, the purchase agreement covers how a refund is handled. Understanding how the purchase agreement handles the return of EMD will minimize failed expectations if the deal falls apart. The real estate professional and or the legal team helping the buyer should explain these issues up front. 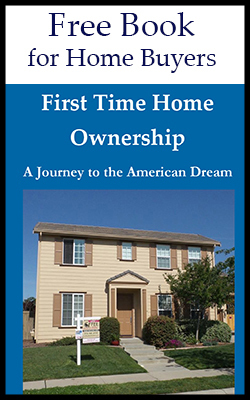 The first time home buyer should plan on at least 2 percent EMD. Many times the expectation is only 1,000 dollars as an EMD. This can work for many offers. But the real estate market or property owner may demand a much higher EMD to accept the offer. The EMD money should be a very liquid asset. It should be money in a checking account or ready to transfer into a checking account within 48 hours. The Down payment money should be ready to deposit into the escrow account within 17 days of an accepted offer. The time line could be much sooner if the purchase offer has a faster closing time or contingency. Be very aware of the deposit contingency to fulfill the purchase contract. The purchase offer should have documents that show the deposit funds are available. Position the funds in a way that escrow can receive them in a timely manner. Money coming from stock, retirement accounts and other intuitional sources should have all the proper paper work filled out. The staff where the assets are currently held should be made aware of the time frame and requirement of how funds are to be delivered. If funds are coming from family, make sure they understand the time line. In many cases the funds have to be in your accounts 60 or more days before escrow closes. Understand the loan requirements before putting in an offer. The mortgage professional should make known all the issues with the down payments. Ask questions of the loan personnel about the down payment. Find out early if there is a misunderstanding with the family member giving the funds. Sometimes promises are made that they can’t keep. Verify the funds are ready for both the EMD and full down payment. This will solve any problems before they can blow up a real estate deal on the property that maybe a dream home.